FIRST Lego League (FLL) is an international program for kids from 9-14 years old. It is a partnership between FIRST and LEGO. FIRST LEGO League teams investigate, strategize, design, build, program and test robots to complete missions related to the topic chosen for the year. The team members search the web, talk to scientists, visit the library, and develop a compelling research presentation which relates to a problem or opportunity facing the world today. Once they have their robot and presentation ready, they compete with other teams in a high energy, sports-like tournament. They work together to learn how to solve challenges while having fun. Each year, the team chooses a new name to reflect this year's challenge. The 2011 challenge is Food Factor. Can FIRST� LEGO� League teams improve the quality of food by finding ways to prevent food contamination? Find out more about our past teams. In September 2010, the Bio Stormers entered the Body Forward competition. On Saturday, December 4, 2010, teams from around Vancouver Island competed at the Vancouver Island FIRST LEGO League Qualifier which was held at George Bonner School in Mill Bay. They qualified for the Provincial Tournament! In January 2011, they competed at BC Championship held at BCIT. The Bio Stormers placed first in Robot Design. 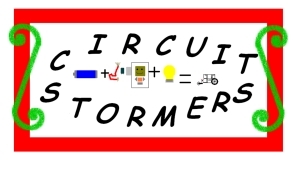 In the fall 2009, the Circuit Stormers entered the Smart Moves competition. The Vancouver Island Regional Tournament was held on November 28, 2009 in Duncan BC. The team placed first for Robot Performance and was invited to the Provincial Tournament that would be held at BCIT on Jan. 9, 2010. The won the Champion's Award and were invited to the European Open tournament in Istanbul. The trip to Istanbul was an experience the team will never forget. In the fall of 2008, the Weather Stormers entered the FLL Climate Connections. The Vancouver Island Regional Tournament was held on November 29, 2008. The team qualified for the provincial tournament held in Surrey in January 2009. In the fall of 2007, the Power Stormers entered the 2007 FLL challenge Power Puzzle. At the Victoria Tournament, the Power Stormers won first place in technical design. They were invited to the British Colombia Championship Tournament in Vancouver on January 12, 2007. How much CO2 is in British Columbia's electricity? Our first FLL team was created by a group of home learners in 2006. They competed in the FLL 2006 challenge on Nanotechnology. Their team was the Nano Stormers. They had a great time at the British Columbia Provincial Tournament and were delighted with their first place finish in teamwork. These FIRST LEGO League teams are part of the Victoria Robotics Club.